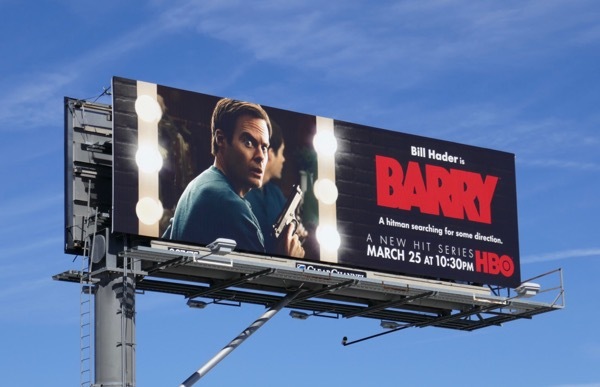 In his new HBO comedy series Bill Hader plays a disillusioned hitman called 'Barry', who on an assignment in L.A. discovers that the performing arts may be what he's looking for to fill the void in his life. Will the bright lights of show business help this depressed assassin-for-hire find the direction he's looking for? These series launch billboards were snapped towering over the Sunset Strip and along La Brea Avenue from February 28 to March 5, 2018. Although the juxtaposition of holding a handgun in front of a dressing room mirror conveys his hitman status and the unique premise of the series, in today's turbulent gun debate times, the less pronounced and more subtle portrait ad creative version is our preferred option. 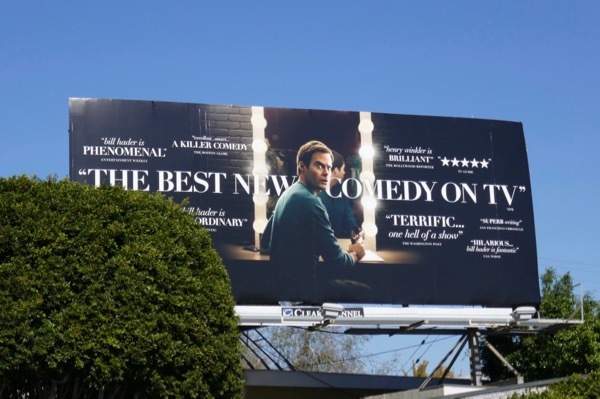 Fans of Bill Hader can also enjoy these Trainwreck movie billboards and these Documentary Now! 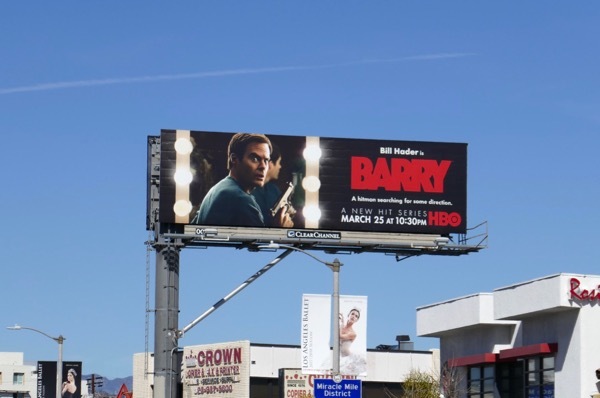 billboards. He may have a licence to kill, but will the SNL alumnus have a licence to thrill with his new dark comedy. 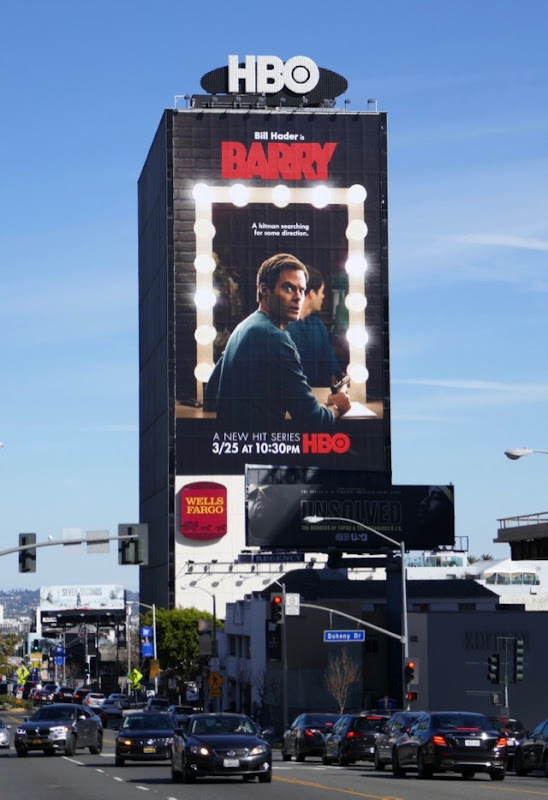 UPDATED: Here's also an Emmy consideration billboard for the first season of Barry spotted along Melrose Avenue on May 10, 2018. 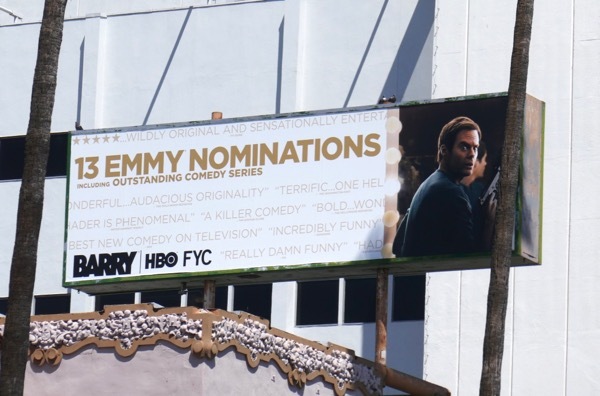 UPDATED: Congratulations to the freshman comedy for garnering thirteen Emmy nominations, including Outstanding Comedy Series and Outstanding Lead Actor for Bill Hader. 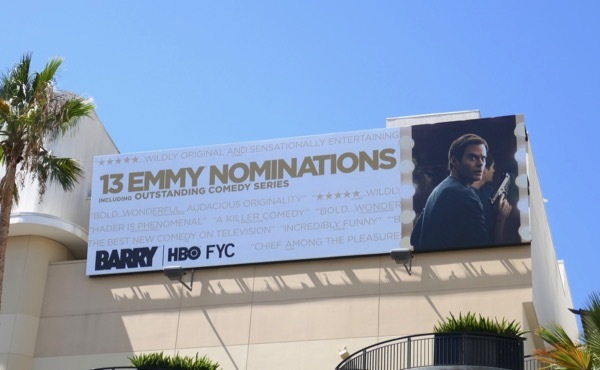 This Emmy nominee billboard was spied high above Sunset Boulevard on August 23, 2018. 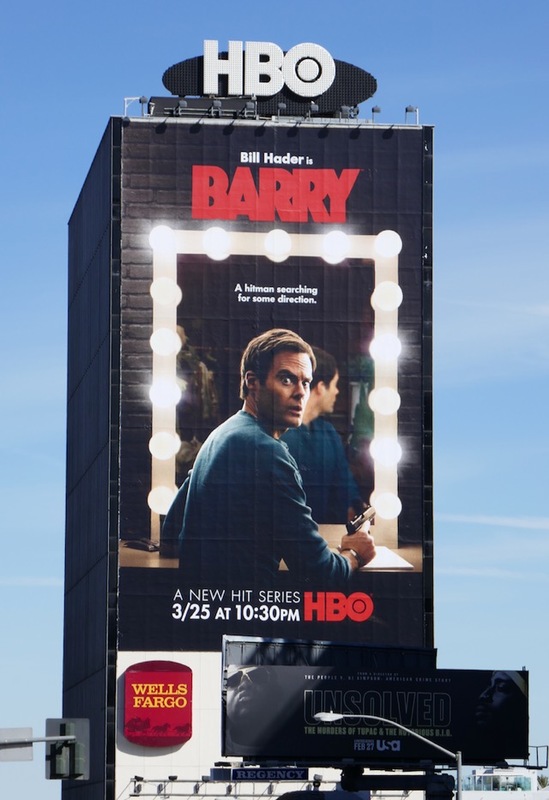 UPDATED: Congratulations to Barry for its three Emmy wins, including for Bill Hader, Henry Winkler for Supporting Actor and for Sound Mixing. 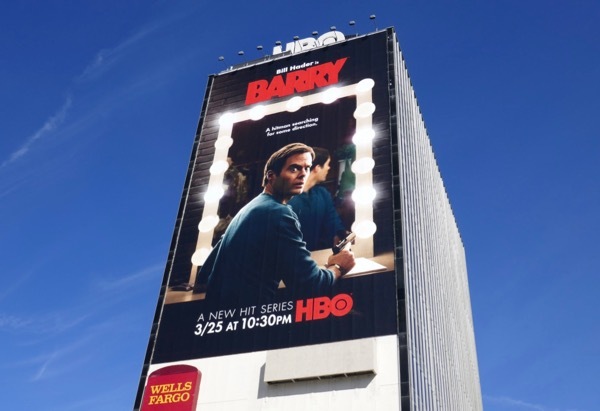 Here's another nomination billboard spotted high above the Hollywood & Highland Center on September 19, 2018. 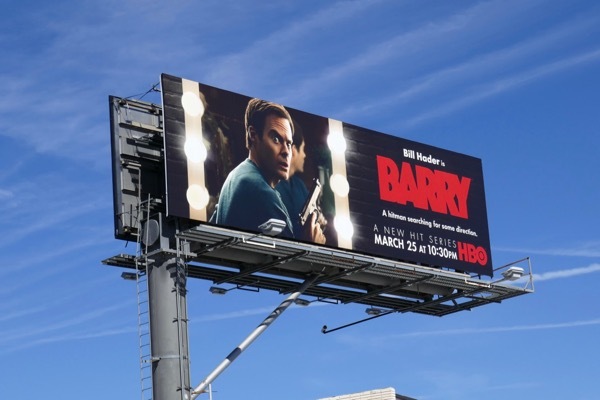 UPDATED: After its Emmy wins how will Barry fare this awards season and are Golden Globe nominations in its future? 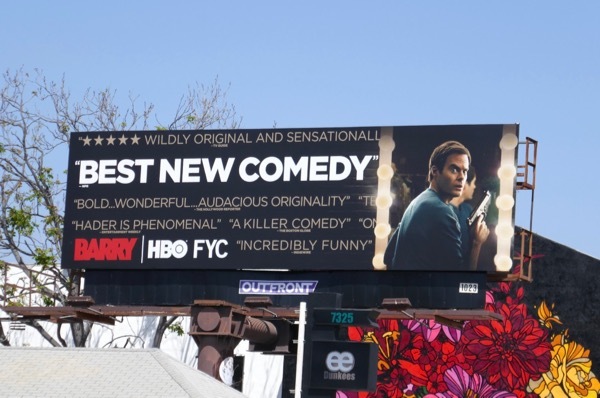 Maybe this review-laden 'For your consideration' billboard spotted along Robertson Boulevard on November 12, 2018, will help garner further accolades.